Iran reasserted its supremacy on the sixth day of the 2015 Jones Cup. Hamed Haddadi led Iran as they sent the Philippines crashing back to earth, while the Kiwis beat the Japanese. In the last two games, Korea continued to roll after beating Taiwan White, and Taiwan Blue handed Russia its second loss. 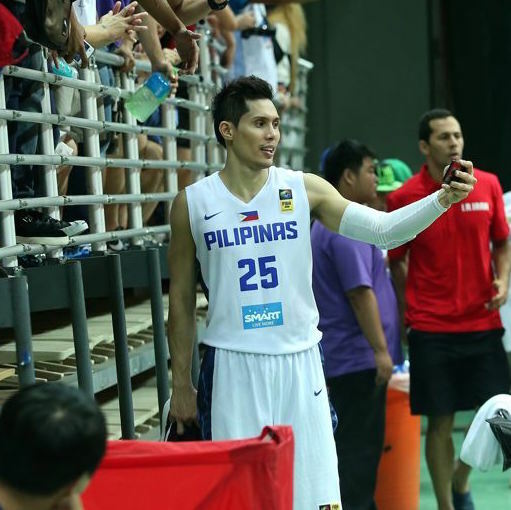 DonDon Hontiveros takes a selfie with some fans prior to their game against powerhouse Iran. Here are the complete results from Day Six! The finalists from the last edition of the regional tournament clashed, and the result matched that of the title game from two years ago, with Iran coming out on top. Hamed Haddadi played an outstanding game in the post, scoring 22 points and grabbing 15 rebounds, while Hamed Afagh added 13 points for the winning side. Asi Taulava led the way for the Philippines with 12 points, while Jayson Castro and JC Intal each dropped 10 markers. 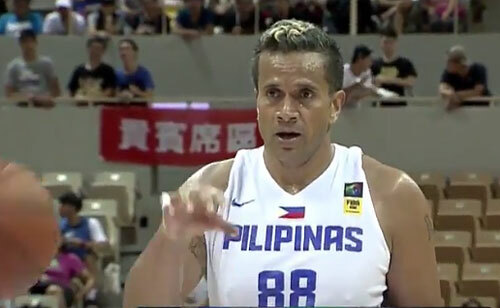 Asi Taulava and the Philippines lost for only the second time this tournament. 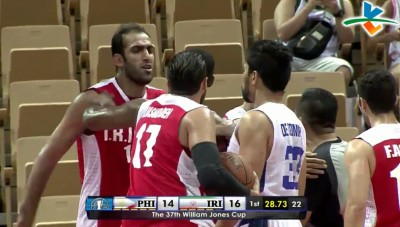 Things got testy when Hamed Haddadi and Ranidel De Ocampo had a confrontation int he first period. Japan looked primed to earn its first win of the tournament as it carried an 11-point lead into halftime. Then New Zealand came out firing on all cylinders in the third quarter, turning that deficit into a two-point lead en route to its second win of the event. The three-headed monster of Ray Turner, Eric Devendorf, and Kevin Braswell did majority of the damage for the Kiwis, combining for 66 points, 23 rebounds, and 9 assists. 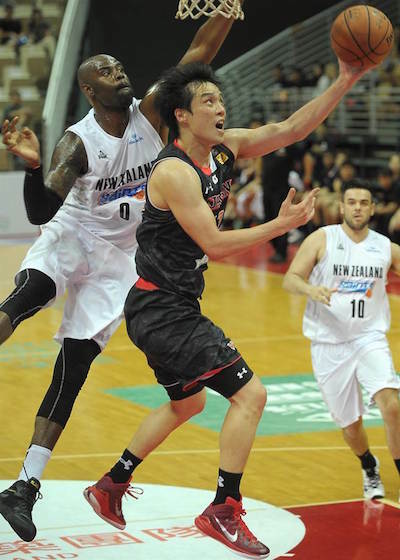 Japan got 23 points and 13 boards from Joji Takeuchi, and Kosuke Kanamaru chipped in 15 points. Kenta Hirose tries to go under Bryan Davis. South Korea is emerging as a title contender in New Taipei City. After a couple of early losses, the Koreans have scored three straight wins, the latest being a seven-point victory over Chinese Taipei’s Team B. Lee Jong-hyun shined throughout the contest, tallying 17 points, 6 blocks, and 4 rebounds. It was a strong team effort at the offensive end, with seven different players scoring at least five points, including four in double digits. 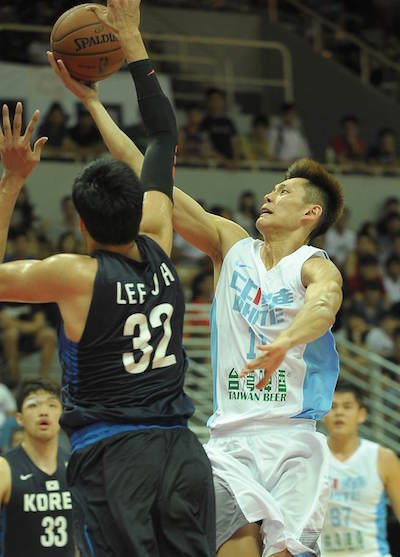 The biggest problem for Chinese Taipei was a lack of contribution from the starters, who scored just 38 points. Hsia Chun-Yi challenges the defense of Lee Jong-Hyun. Lee Te-Wei goes up against Lee Seung-Hyun of Korea. 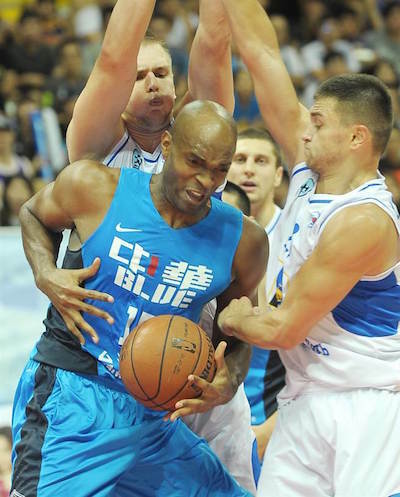 Taiwan Blue erned an important victory over Russia to close the night. This Taiwan squad is now just one game behind Iran ahead of a clash between the two championship hopefuls. Quincy Davis joined the list of post players who excelled on Day 6 with 19 points and 11 rebounds. 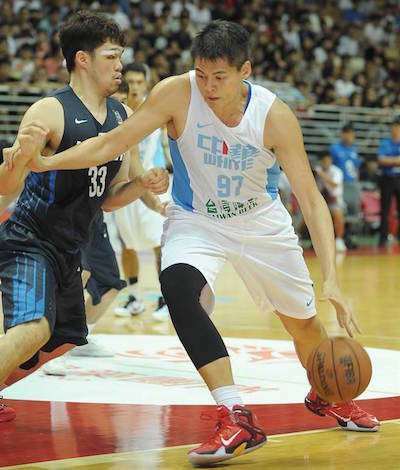 Liu Cheng also helped spur the side offensively, scoring 21 points off the bench on the strength of five made threes. Russia lacked scoring from its reserves, who tossed in a total of 8 points. Once again, Konstantin Glazyrin paced Russia with 17 opints, while Aleksandr Gudumak and Alimdzhan Fediushin each dropped 15 markers. 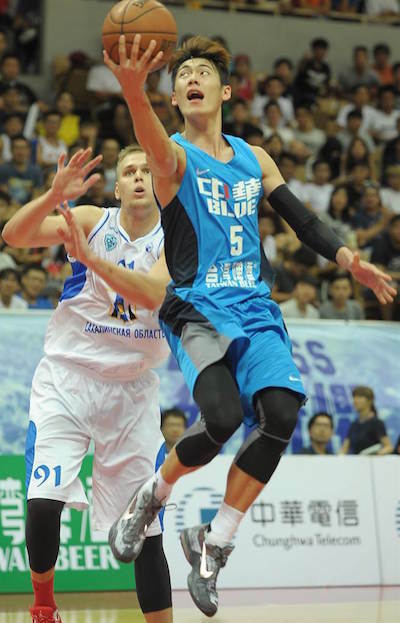 Liu Cheng had another strong showing for Taiwan Blue. Quincy Davis gets double-teamed by the Russians.